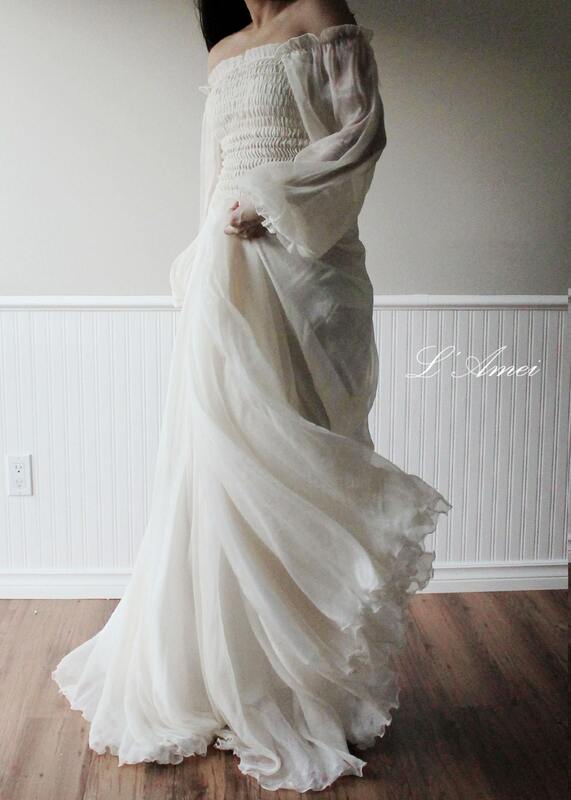 Romantic and elegant in ivory silk chiffon ,. 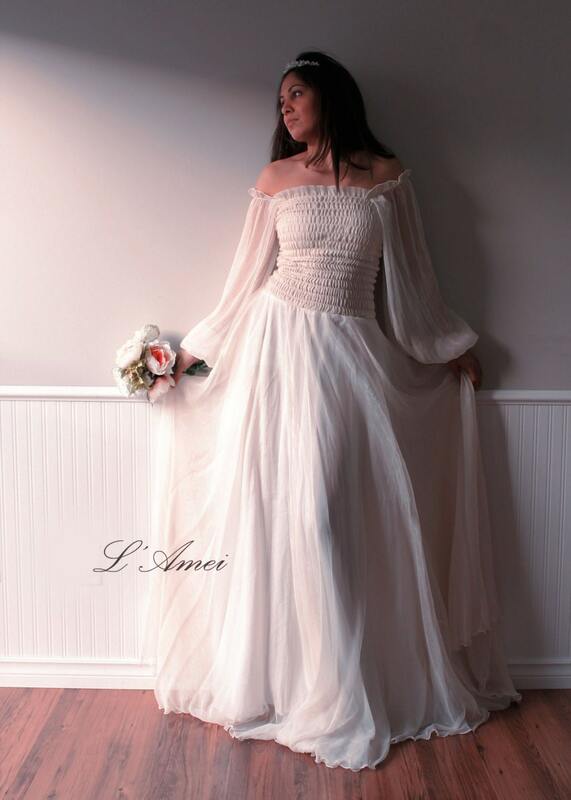 It is designed and custom made by LAmei. 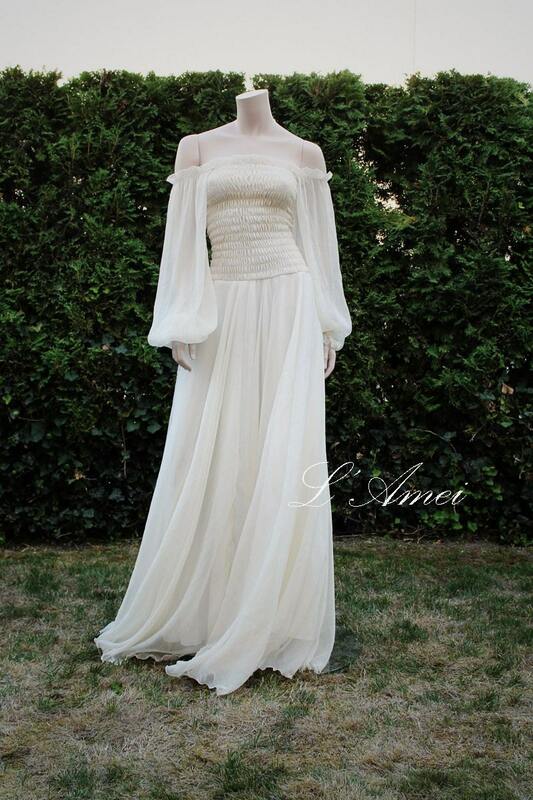 Perfect for so many occasions: Medieval, Renaissance, Elvish Weddings, Hand Fasting ceremonies, LARP events, Re Enactments, Masquerade Balls or your 'inner goddess' moments,Bridesmaid! 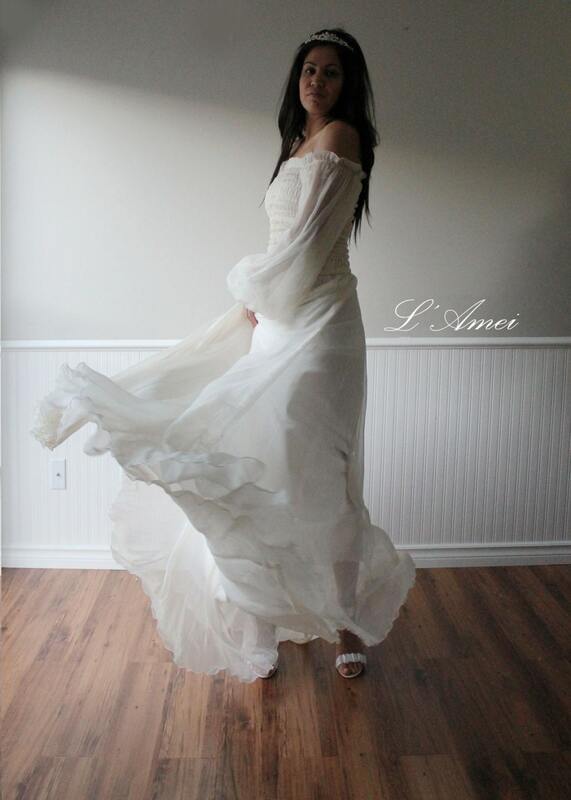 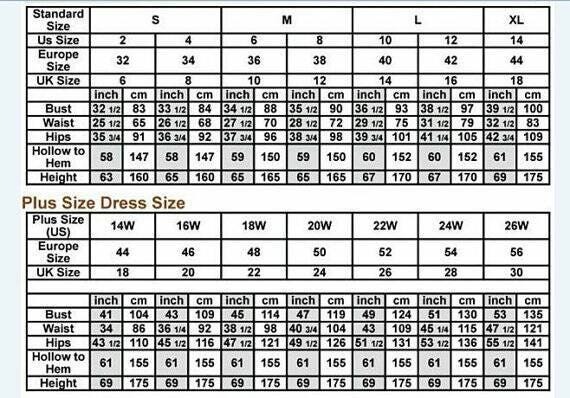 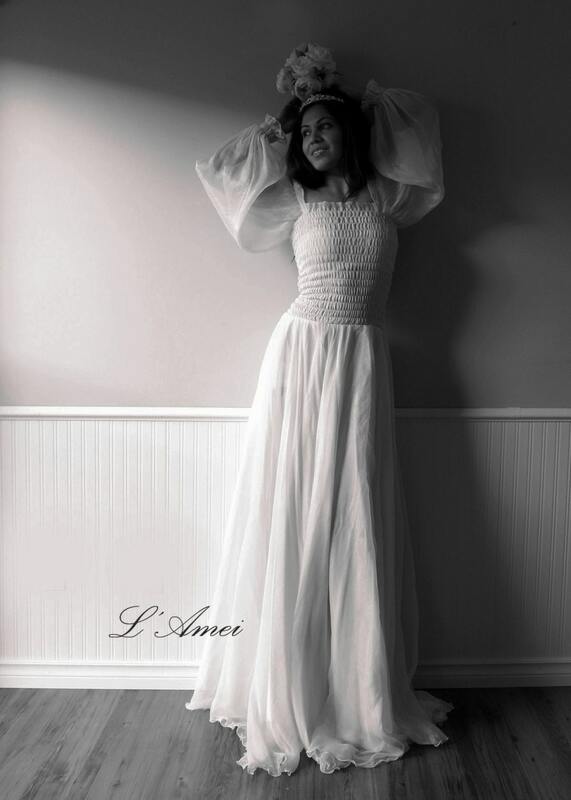 Upper body is elastic, the picture shows a Soft champagne sample dress.